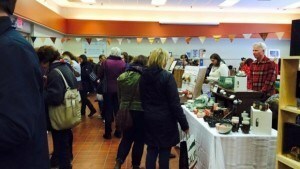 Soap and Candle from the Hive will bee at the new Flea Market at the Farm Centre on Saturday, Feb. 6 (10 – 2 pm.) Check out our Honey Soap table. We’ll have lots of yummy Honey Soaps, Honey Lotions, Honey Creams, and Honey Lip Balms as well as our 100% Beeswax Candles, made right here on PEI.